The annual cost of overworking and stress is exceeding $30 billion, which is half of the entire workplace compensation payout.Both Physical and psychological stress have trumped other types of injury and illness. The long term effects have proven to lead to a loss in productivity and a financial toll that workers and the community are forced to pay. A thorough study of workplace deaths and injuries revealed a cost of $60.6 billion annually.The report concluded that the number of workplace deaths had fallen in 2009-2010 during the global financial crisis. Workplace Relations Minister Bill Shorten will campaign to encourage workers to speak up about safety and call for annual monitoring by Parliament. Safe Work Australia’s study revealed that when “body stressing” and “mental stress” is a dangerous combination that leads to half of the injuries in the workplace.The data did not show a link between long hours and injury but the report did reveal that more than one-third of the cases and total economic costs are connected to body stressing and manual labour. The report also showed that one-third of employees stated that “burnout” is a reason for them to take sick leave when they aren’t actually sick. Why does it feel like I am “burning out” ? “Burning out” from overworking is simply another form of fatigue. It is important to get fatigue management training in order to avoid getting fed up and subsequently allowing the quality of your work and your safety to lapse. 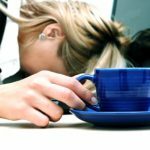 It is hard for once to detect if they are suffering from fatigue and it is even more difficult to tell when your fatigue has reached to a level where it is no longer safe for you to work. Fatigue systems can be broken up into three categories; physical,mental, and emotional. Some physical symptoms; include yawning, eye rubbing, and microsleeps. If you are suffering from mental fatigue you may find your self having a difficult time concentrating and paying attention to some things. Also, you may have difficulty remembering the task at hand, or find your self making frequent mistakes in the workplace. Finally, emotional fatigue is a common but sometimes overlooked type of fatigue. Symptoms of emotional fatigue can be perceived as “burning out”. Often times an emotionally fatigued individual will find themselves being more quiet or introverted than usual. An emotionally fatigued person will notice a loss of energy, loss of motivation and a lack of drive.